A student from Georgia Southern University, who is white, is in hot water after she allegedly sent her new roommate, who is black, a text message containing a racial epithet, causing concern on the campus. The student who sent the message, however, alleges not all is what it seems. Screenshots of the messages were quickly posted to social media by a friend of the victim, Dajah Morrison, who told WSAV-TV she did not believe Schaefer’s excuse for using the racial slur. “‘Triggerish’ is not a word at all either. The closest word to that is triggerfish. So for her to cover those things up, it just didn’t add up,” she said. After the messages went viral on social media, Schaefer deleted her social media accounts, the Daily Mail reported. Did the university become involved? According to WJCL-TV, the school’s athletic director become aware of the messages, who then informed university administrators. In response, GSU interim president Shelley Nickel released a statement condemning the messages. “The University shares the hurt our community has expressed following the use of a racial slur exhibited in a screenshot shared on social media. The use of such racist comments is offensive and unacceptable and in no way reflects the attitudes or values of Georgia Southern University,” the statement said. “To be clear, there is no place for bigotry or racism on our campuses,” the statement added. It’s not clear if Schaefer will face disciplinary action, nor did Nickel address reproductions in the statement. While the university was not clear about disciplinary action, students believe the GSU administration should do more to address the situation. “I believe the black community needs reassurance that there’s zero tolerance for hate speech, racism and prejudice. There’s been a history of these situations here at the university, so it would be lovely to hear that our administration is accepting and tolerant to all,” Morrison told GSU’s school newspaper, The George-Anne. “I think I speak for the entire African-American population of Georgia Southern when I say that while I am not surprised, I am angry and disappointed. 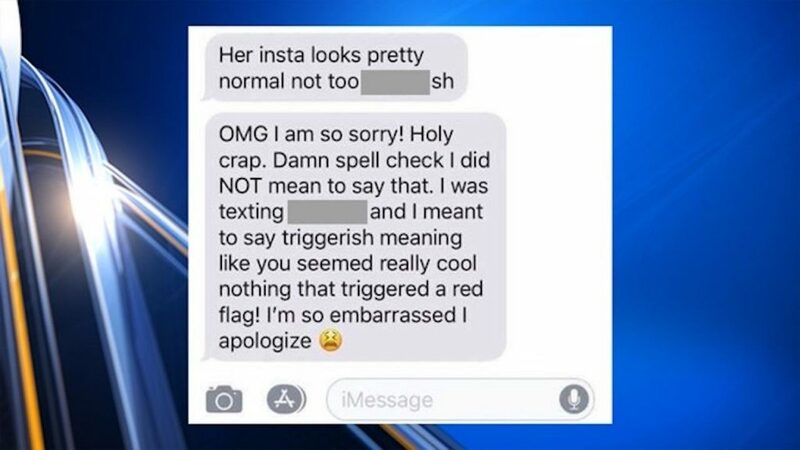 The text itself was cause enough for outrage, but the pathetic attempt at an excuse and apology, was a flippant insult to her intelligence,” said Leon Bowels, a senior at the school.